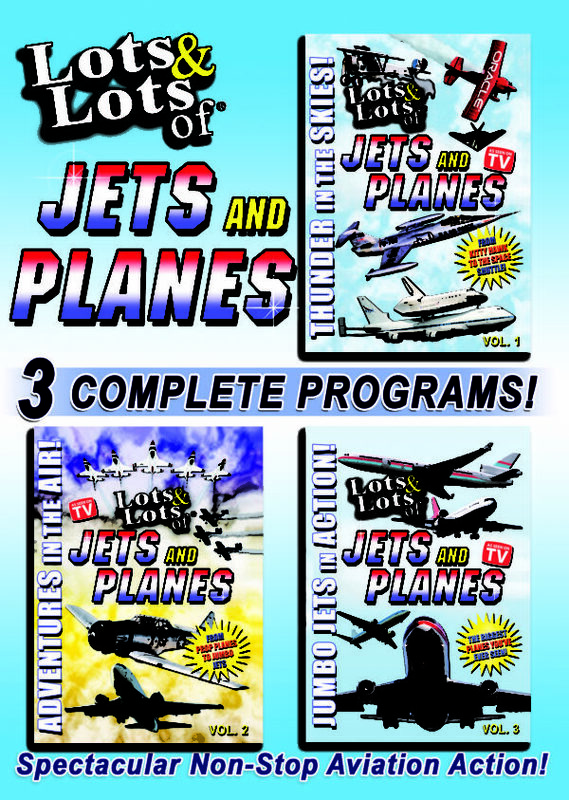 Lots & Lots of Jets and Planes 3 Disc Set - Marshall Publishing & Promotions, Inc. 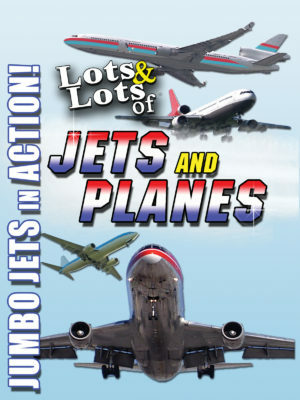 Experience one of the most spectacular collections of non-stop aviation thrills and air adventures you will find anywhere in this Lots & Lots of Jets and Planes 5 hour 3 DVD Set! 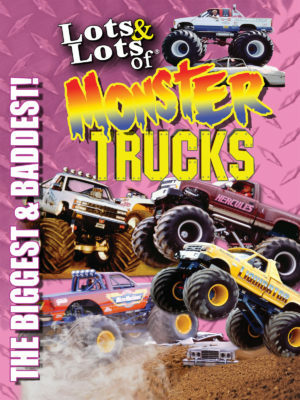 Each DVD is jam-packed with lots of high-flying, gravity-defying, close-up action featuring incredible fighters, flyers and fantastic aerobatics of every shape and size – from Kitty Hawk to the Space Shuttle and everything else in between! So climb in the cockpit, turn up the soundtrack and don’t miss a single second of this aviation extravaganza everyone – no matter what their age will love! Program 1 – Thunder In The Skies! Features wild top gun and airshow stunt flying, war birds, jumbo jet airliners, aircraft carrier action, planes of the past, private jets and prop planes, float planes, gravity-defying wing walkers, ultra-lights, the DC-3, Jet Demo teams including the Navy’s Blue Angels, Thunderbirds and Snowbirds, Kitty Hawk memories, Space Shuttle launch and more! Plus, a Bonus archival film celebrates the 50th Anniversary of the development of flight! Program 2 – Adventures In The Air! More non-stop action with airshow aerobatics, see a plane built before your eyes, giant cargo and classic planes, flight deck carrier action, Jet Demo Teams, helicopters, giant RC planes, fighters from the past, top flight action, visit the National US Air Force Museum, and even an airplane counting song for younger aviators! Two Special Bonus Features include the story of the X-15 and archival footage of early jet air travel! Program 3 – Jumbo Jets In Action! We’ve traveled to some of the world’s busiest and most famous airports to bring you this incredible collection of some of the biggest and most colorful planes you’ll find anywhere. You’ll see terrific action with plenty of close-up taxiing, landings, takeoffs and overhead shots. 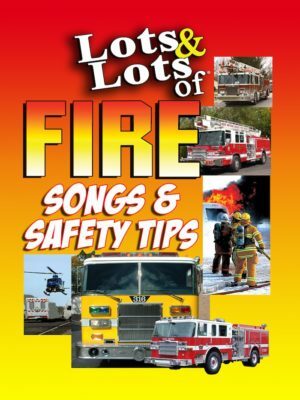 Cover your ears because there is no narration or music to interfere with the thrill of being there, just the roaring sounds of jumbo jets! Plus, as a Special Bonus you’ll learn some interesting information about the planes themselves and loads of airplane trivia!